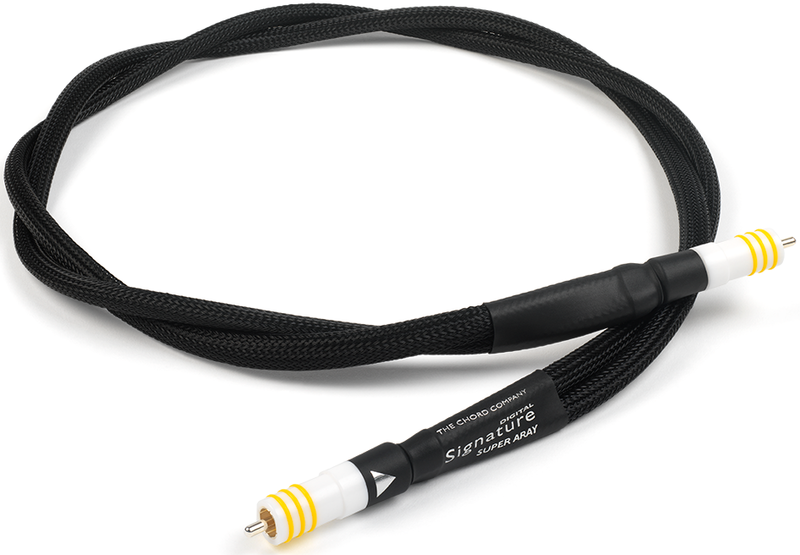 The Chord Signature Super ARAY digital cable is a replacement for the superb Tuned ARAY cable ideal when paired with high performance audio streamers. 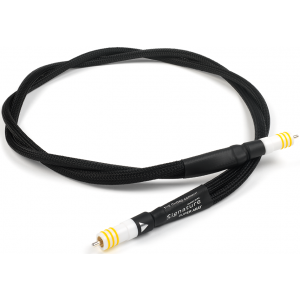 Like other cables using Tuned ARAY technology, the Signature Digital Tuned ARAY brings a sense of coherence and performance to the system it’s used in, or rather the music played through it. The performance of all cables will improve with use. The extreme transparency of Super ARAY technology used in the construction of the Signature Super ARAY streaming cable means that when first connected you will immediately experience dramatically better levels of detail and imaging. The level of musical transparency will improve still further with use. The Signature Super ARAY streaming interconnect will help you to experience and enjoy the highest level of performance that your streaming system is capable of. Chord ultra low mass silver-plated RCA plugs are fitted (military grade silver-plated BNC plugs are also available) along with Chord precision-machined acrylic plug shrouds. Tuned ARAY technology is remarkable, but like any other Chord cables the choice of materials is critical. Signature Digital Tuned ARAY uses single crystal copper conductors, each one protected with an extremely effective composite shielding system.